Oriental is home to Oriental Marina, A CRUISERS NET SPONSOR. Oriental’s Spirit of Christmas lighted boat parade is an annual Christmas event and a great way to get into the Holiday Spirit! Decorate your boat. Decorate yourself. Your car. Bicycle. Decorate your dog. 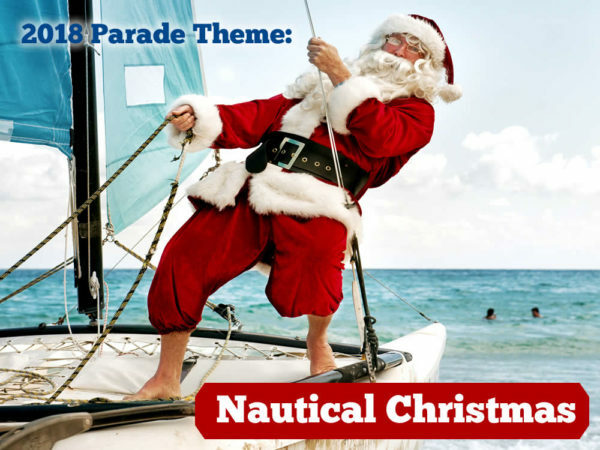 And make it a Nautical Christmas. The 2018 Spirit Of Christmas parade is Sat Dec 8. New Parade Master Lance Burgo wanted a positive theme that fit Oriental. Get your parade entry form right here. You can even fill out the parade entry form online. Who sent in the winning theme? Roxanne Parrish of Oriental. Congrats Roxanne. A town that needs a parade thanks you.